This is the story of an office that has quickly become so much more than just a 9-to-5 workplace. 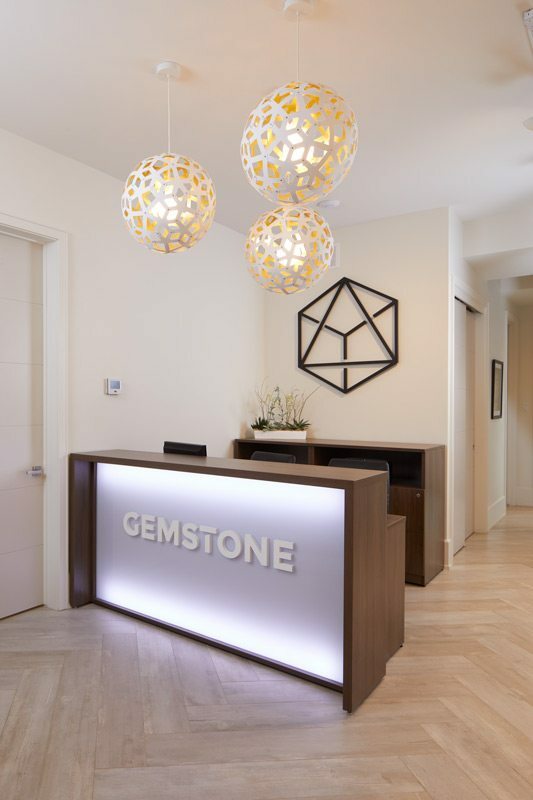 For Gemstone Developments, their meticulously renovated headquarters in Centretown is also a congenial meeting spot, a space in which to wow clients and show off their latest new-home and restoration projects and, most importantly, a concrete commitment to their community. “We do so much work in the urban core, and now we can truly say we’re citizens of Centretown,” explains vice-president Josh Zaret. It helps that the new headquarters is centrally located, easy to get to from any of Gemstone’s jobs — all of which are within the greenbelt. Workers pop in and out to pick up tools from the basement, grab a coffee, or drop off an invoice with the accountant. “The office has made our business much more ‘human.’ There’s less emailing because it’s now so convenient to interact in person. That comes from the space,” says Zaret. 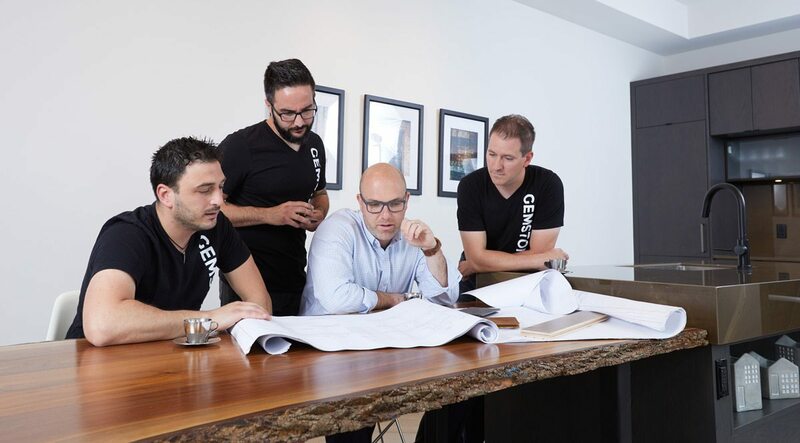 That space is sunny, open, and filled with distinct finishings designed to display the expertise of the trades professionals who work with Gemstone. 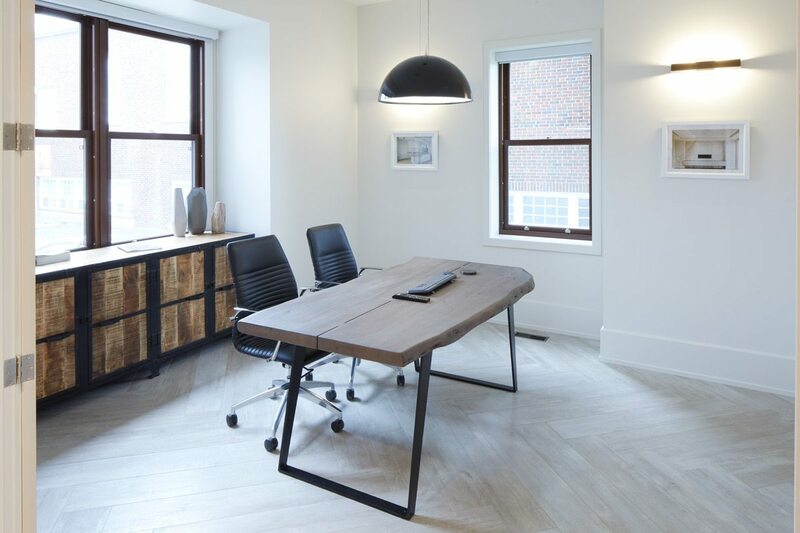 For them, the office provides the opportunity to revisit and enjoy their handiwork. For the sales team, the house makes it easy to show potential clients what Gemstone can do. Indeed, it’s hard to imagine that when the company purchased the building from the Roman Catholic Archdiocese of Ottawa, the predominant impression was one of darkness, with a warren of 16 rooms and tiny windows (the “before” pictures on the wall in the kitchen verify the transformation that has taken place). Now the main floor is a grand open space where light floods into the design centre, a gallery of a room with an ever-changing display of plans and renderings for Gemstone’s latest projects. 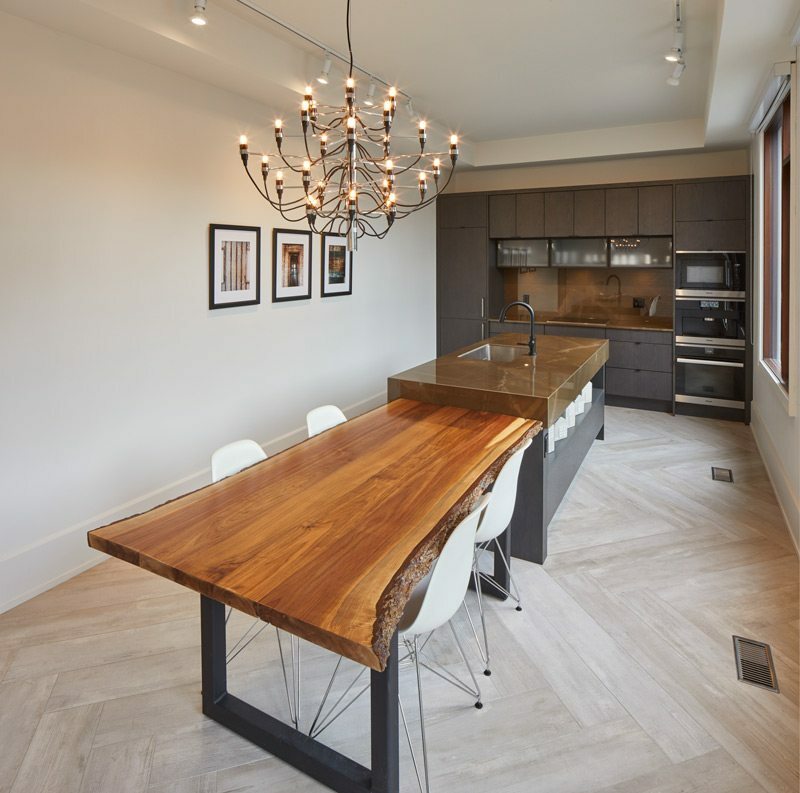 At the rear of the house, the Irpinia show kitchen highlights beautiful cabinetry and finishings — as well as that espresso machine and a wine fridge. Upstairs, roomy offices open out onto a generous balcony overlooking Argyle. The result is an investment in Gemstone’s future — and its future office culture.